You know how it’s much easier to talk about something you hated than something you really enjoyed? That’s why I have a lot to say about Pacific Rim, yet I’ve been trying to write this post about The Deep for a couple of months. That’s fitting, though, because it took me a really long time to read it. 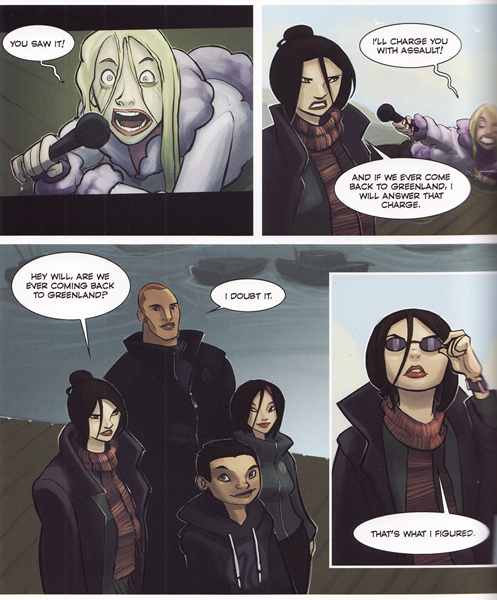 I heard last year that an excellent Australian comic about a multi-racial family of aquanauts was being adapted into an animated TV series, and I thought, “Huh, I should read that.” And the first two volumes sat in my shopping cart for a really long time. Finally I bit the bullet and bought them, but because I had procrastinated so long, I kind of … forgot that I had bought nearly $50 worth of comics? Which is fine, I do that a lot, and then I get parcels that I had completely forgotten about ordering! It’s just like Christmas, only I’m spending money on myself. Only, this time the package never came. Several months passed until I went, “Hey, I should buy The Deep! Why didn’t I do that sooner?” A tickle in my memory prompted me to go through my emails and bank statements, where I discovered that I had bought it. And I would like to congratulate Gestalt Publishing for being incredibly on the ball when I asked about it on Twitter, sorting the problem out and sending my comics. No emails required, just Twitter. Problem solved in 140 characters. The Nektons are explorers. Their terrain: the oceans. Father William, mother Kaiko, and their children, the brilliant Fontaine and the gifted and hyperactive Antaeus, explore the depths of the oceans, encountering unfamiliar sea creatures and oceanographic mysteries. Theirs is a scientific and ecological mission, set against the backdrop of William’s quest for … well, that would be a spoiler. I compare it with Avatar because Ant reminds me very strongly of Aang — he may be a genius, but he’s also very much a kid. Much to the dismay of Fontaine, who is the sensible, methodical member of the family. Fontaine’s parents are also a source of much eyerolling, given that their mother likes to play shark, and their father just really loves old maps. This would make her completely unbearable, except that she actually has a sense of humour, and really loves her family and their mission. It was at this moment that I fell in love. I guess I don’t really advocate pushing journalists into the sea, even if they are hacks who demonise families and cause panics that result in shark-deaths. But Kaiko’s nonchalance, coupled with SUNGLASSES, coupled with her family surrounding her and being all, OUR WIFE/MOTHER IS GREAT, DEAL WITH IT, that’s pretty excellent. For bonus stereotype-busting, the Nektons pick up an eccentric old white man with mysterious and possibly mystical knowledge that will aid them in their Spoilery Quest. And then, just when I was starting to find him slightly irritating, he departed at the end of volume 2. But all the inclusivity and stereotype-defying in the world isn’t going to achieve anything unless it’s coupled with an entertaining story and good characters, and that’s why I think everyone should read the comics, and watch the TV series when it appears. I can’t maintain a one-woman fangirling forever, and all this hand-flapping is getting tiring. You can read a sample of the first volume here, as well as ordering it in hardcopy, but it’s also available from ComiXology. Samples from the second volume are here. Now, I am off to re-read them, and to ponder what dark secrets lie in Jeffrey the Fish’s past. While living in China I met my friend Wendy, also a Chinese-Australian from Melbourne. We would hang out often, through the afternoon and into the evening. Eventually, though, she would run off from me, to go watch her Chinese dating show. I would make fun of her. Then we came home to Melbourne. If You Are The One (非诚勿扰) is that Chinese dating show. I love it. The premise is that there are 24 women, and they stay on the show episode after episode until they end up with a date. Each episode features 4 guys; they show some (pre-filmed) videos and the women ask questions, and through this process the women turn their lights off if they become disinterested in the contestant. At the end, if there are lights on, the guy can choose one of those remaining women. Often, even if there are lights on, the guy will say no to those remaining, and leave without a date. Frequently, they will leave without a date anyway, because all 24 women will have turned off their lights. Sometimes the contestant will have a large number of women to decide between, and the women will have done the hard sell on themselves, which is always super excellent – I love a woman who puts herself forward, and is in a situation where she is supported in putting herself forward, as they all are on 非诚勿扰. Each guy is on stage for between five and ten minutes, so everyone has to decide fast. The guys might have a better idea of the women, as the women stay on episode after episode (and are filmed and screened regularly), and viewers can get an idea of their personalities. The questions are pointed, and cover all sorts of things; the decisions are snap and sometimes seemingly random. The outcome is serious. Prior to watching 非诚勿扰, I’d always considered dating shows boring, superficial things; nothing wrong with them, but kind of pointless and not for me. At the end of each opportunity, two people leave to have a date, and if it doesn’t work out it doesn’t work out. 非诚勿扰 is not like that. It is portrayed as very life or death, must end in marriage stuff. If it’s going to be ‘let’s have a date and it might not work out,’ people clarify with “let’s start as friends and see what happens,” rather than the other way around. Now that we are home, and 非诚勿扰 airs on SBS2 Tuesday through Thursday nights, Wendy and I watch it together, from our own couches. We text our often snarky comments back and forth, making snap pronouncements and guesses as to the outcomes. It is easy to do. 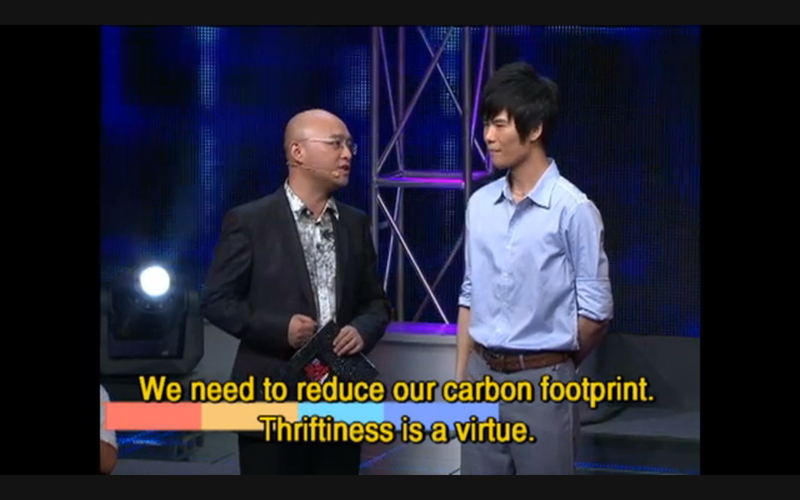 If a contestant is a little large, or 胖, we assume they will lose a number of lights. If the contestant is nerdy looking, or old, or bald, or too ridiculous when they come out; if they focus too on one thing, or talk too much about their parents, then the women will turn their lights out. Gosh! We are, aren’t we? I know I totally am. 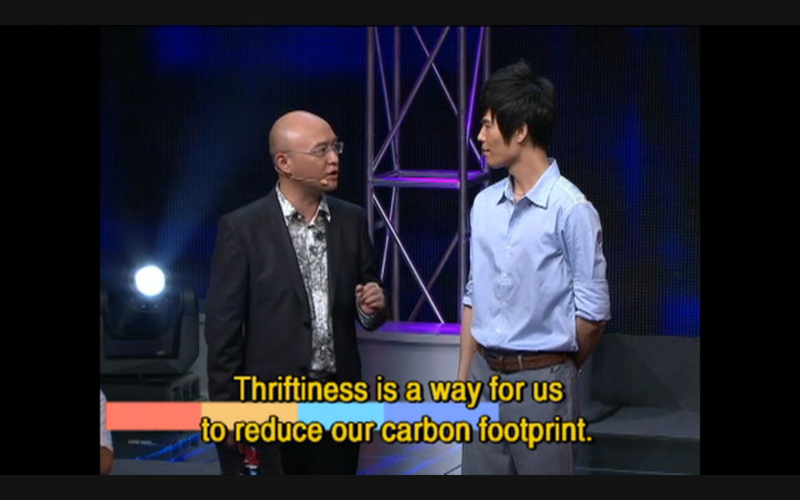 Over two weeks SBS2 aired the Australian specials of 非诚勿扰, and despite the many things I could say about the show, it is this in particular about which I would like to chat. 非诚勿扰 is allegedly based on failed Australian dating show Taken Out, and is currently so popular in Australia it’s discussed on AFL forums. It’s been profiled on the Vine, with an article entitled ‘Why we’re obsessed with If You Are The One’. Why ARE Australians obsessed with 非诚勿扰? Why am I? We’ve seen dating shows before, and we’ve seen this dating show in particular before, and it failed. But it’s now so popular here it’s on SBS2 three nights a week (though last night’s episode was a repeat). Don’t get me wrong, I make fun of Chinese people. But that’s a thing I get to do as a Chinese person, having lived in China, understanding what it is exactly that I’m making fun of; understanding that I am, in essence, making fun of my self, of my family, of my history. And I wonder, what is the line between real and unreal; between stereotypes for good and for bad? And how will that impact me, in my life? People take this show seriously, so I feel justified considering its messages seriously. 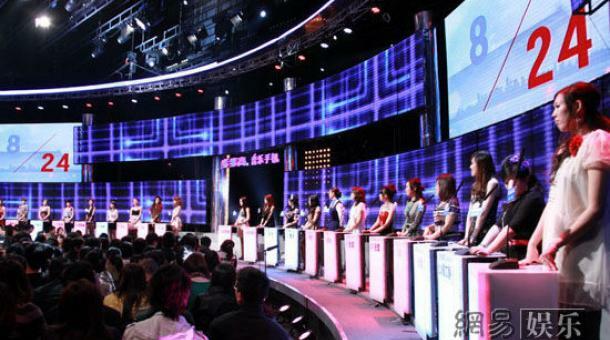 There is growing scepticism within China as to whether foreign specials, and participation of foreigners on the show, is viable and realistic, or simply a ratings grab. Can foreigners have stable long-term relationships with Chinese people, due to the cultural differences? The Australians on the show (all Chinese, born outside of Australia – from China and Malaysia), if they mention dating an Australian woman, say it didn’t work out due to cultural differences. As someone with an Anglo-Australian father, even I’ve had a whole lot of cultural differences in failed relationships with other non-Chinese Australians, yes, but to attribute all of them? If they’re serious about a dating show, they – and you – need to get onto If You Are The One. 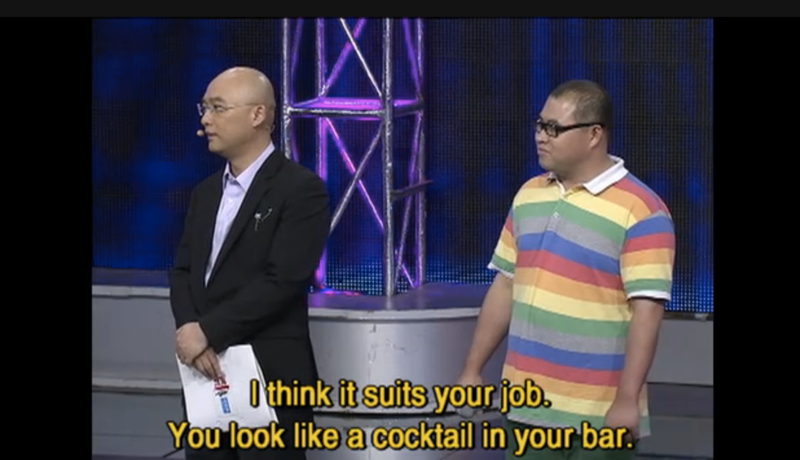 Chinese dating show. Big there – 50-odd million viewers – but not huge given the population. It’s culty though. You wait til you watch it. SBS has now put it on Tuesday through to Thursday, because people are discovering it and its frank charm. It’s a kind of panel show, the guy comes out, there are questions, they give their assessment, he gives his, his friends appear in a video and say their piece, he picks his girl, the end. It’s sensational. None of the fakery of The Bachelor. It just feels fake doesn’t it? They’re all too scared to say anything real, I feel like. So last night there’s a guy on, Luo Si, 29, he’s from Sydney, where the universities have no gates – this is what he says – and his experience with relationships is very discouraging. “Like waves, they don’t settle down … I just want to find the right girl. But who is the right girl? Can you tell if you believe in love? What is love?” Fantastic. His friends came on – and it would’ve been better if this bit hadn’t been shown – and talked about how he was in love with a girl he chased for two years. She showed “no reaction.” Each time he was rejected, one them said, he’d drink by himself. In the end Luo Si chose the girl who said she liked cooking and cleaning. It’s culty, they say. But what makes it culty? Is it the seriousness and the earnestness? Is it the ridiculous costumes my current favourite wears? Is it the attitudes and the silly noises and dances? Or is it the laughter, the laughing at and the laughing with? I love laughing with it, too. And I love the insights it gives to Chinese culture, traditional and otherwise, and how it reminds me of being in Beijing, even reminds me of the friends I have long since left behind there. In China, an article in Time suggests, 非诚勿扰 and shows like it are popular because they’re honest, and because they place capital in being honest, and there is a lot of dishonesty in China and across the world, in dating and in other areas. And I love that about it, too. One of the Australian contestants was doing well, he had 24 lights on at the first video, and still over ten as his last video began. In it, his cousin tells a story of when they were younger, they were making dumplings and the contestant was sent out to purchase chives, and brought back ‘green vegetables’ (this usually means gailan or bokchoi) instead. The cousin laughed and said, but I’m sure he’s better now, but it was too late. Almost in unision those lights turned off, the implication already there: this man cannot look after himself. That from a 20 second tale about vegetables. One woman, when asked how she budgets, confesses that she spends all her money by the end of the month and doesn’t save at all. A previous woman was notoriously stingy, rejecting immediately any man who she felt spent too much, regardless whether he had the personal wealth to support it. “I can’t tell if you didn’t shave or if this look is intentional,” murmurs one woman. “You look much better in the video than in real life,” states another. I love them and their honesty and their abruptness. It seems so genuine. I think this is in large part why I love this show. I have no real conclusions, except to state that based on the assumptions on this show, I’m only ever gonna have great relationships with other half-Chinese half-Anglo Australians from Malaysia. If you’re in Australia, you can watch If You Are The One with English subtitles on SBS2 or on SBS Ondemand. 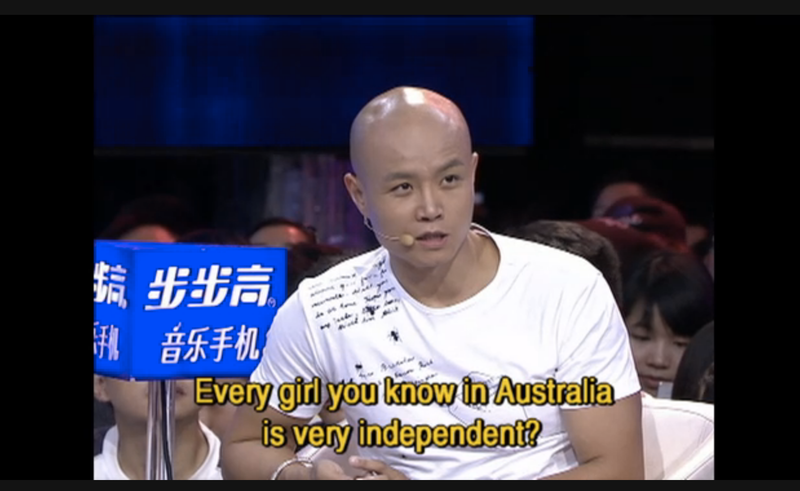 If you hang out on twitter you can chat about the contestants using the #ifyouaretheone hashtag, which the SBS2 twitter does quite actively. If you’re not in Australia, you can watch it on the Official Youtube (no English subs).